The Ford EXCURSION...when you need an SUV with more room, power, and capacity than most others out there. 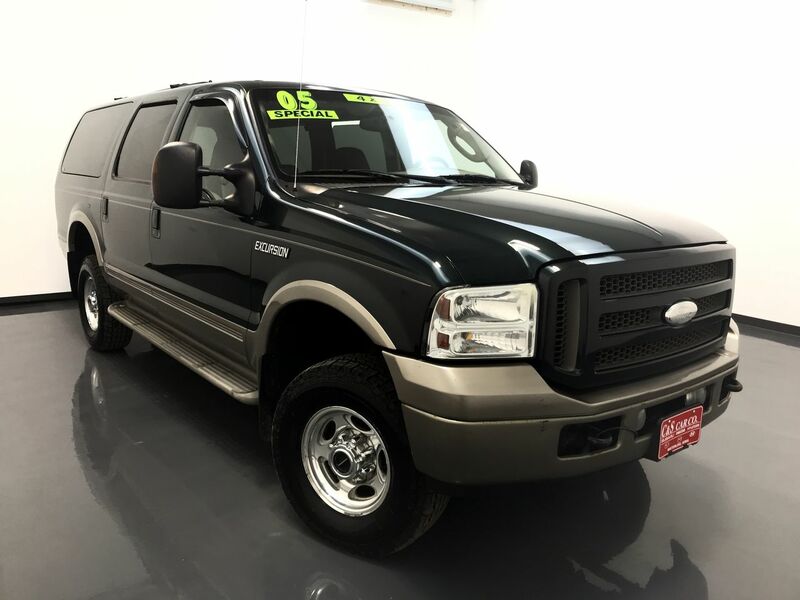 This 2005 EXCURSION EDDIE BAUER 4WD has a leather interior with heated and power assisted front seats, as well as a 2 person memory for the driver's seating position. There is keyless entry, tri-zone heating/cooling controls, power adjustable pedals, a six-disc AM/FM/CD sound system, a DVD system for the rear passengers entertainment, wood grain interior accents, and back-up sensors. The exterior highlights include running boards, 16" alloy wheels, a roof rack with cross rails, and a 2" receiver hitch. Call C & S Car toll free at 866-212-8718 or locally at 319-291-7321.